The role of Jewish culture is an often misunderstood aspect of German history. In the 1600’s a permant Jewish community was established which grew to become the largest in all of Germany by far. Many great Jewish thinkers have come from or lived in Germany until the tragic events of the 20th century, Albert Einstein and Moses Mendelssohn to name just two. It is no surprise then that the seat of the Central Council of Jews in Germany is today located in the Leo Baeck house in the former Jewish quarter of Berlin. 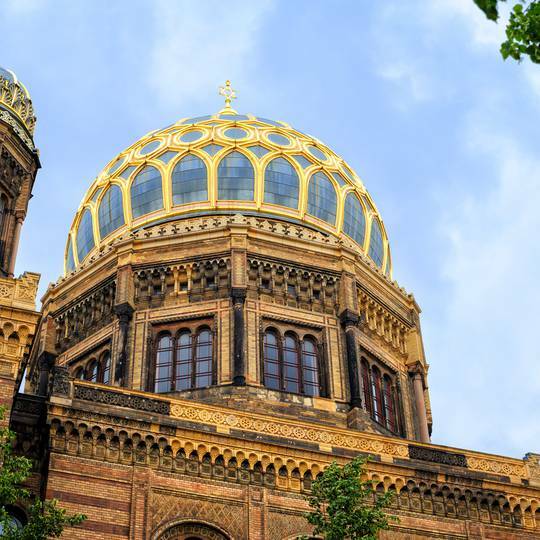 Our Jewish heritage tour brings you through centuries of Judaism in Berlin, including the atrocities of the Nazi regime and all the way up to the present day resurgence of Jewish culture in the German capital. Our tours are designed for your comfort and begin and end where you specify. The tour can start at any time you like.